The Gulf Coast of Louisiana offers some of the best fishing in the country all year long. The warm waters of the Gulf of Mexico are host to many species of sport fish. 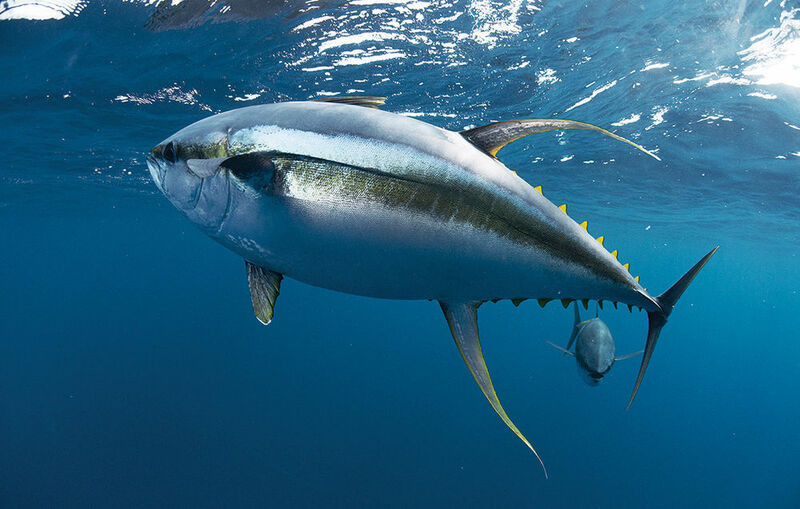 A favorite among professional charter fishermen is the Yellowfin Tuna. They travel in large schools and swim fast and hard making them an exciting challenge for everyone from the beginner to the seasoned angler. They can be caught in open waters but, the best places to catch Yellowfin Tuna are close to the floating oil rigs. There are plenty of oil and gas rigs in the Gulf of Mexico for everyone to fish around. Most fishing is done in the early hours or late hours of the day when the fish are feeding. But, the best time to catch Yellowfin Tuna is at night. The oil and gas rigs range from 1 or 2 miles off shore to out past 100 miles from shore. The deep-water floating rigs offer the best potential for filling the ice chest. The first thing to do is stop early for some bait fish. Depending on when and where you stop for bait you may end up fighting with sharks and losing a couple of bait fish. Some of the bait fish will be used as chum and some as live bait. Once filled up with a nice supply of bait it’s on to the deep water. Once at the deep-water rigs it’s time to start chumming up the waters to attract the schools of Yellowfin Tuna. This is also going to attract other fish and more sharks. The important thing is to attract the tuna. Once things get rolling it is possible to fish for tuna and replenish the bait supply at the same time. Live bait is best for catching the big ones while the dead bait is best for chumming the waters. Most people fish for tuna in two ways. The first is trolling where live bait is slowly towed behind the boat and passed by the school of tuna. The second is floating or drifting past the schools of tuna. Since the tuna are close to the top of the water many anglers will also use a top water popper bait in combination with the live bait. With a limit of 3 fish per person and an average size of over 40lbs. a good trip has the potential to fill the freezer for a long time. Yellowfin Tuna can be caught in the daylight hours but the best time to catch them is at night. Trolling and drifting with live baits, chum, and top water popper baits are tried and true methods to catch a limit. Stick to the deep-water platforms and bring plenty of live bait.